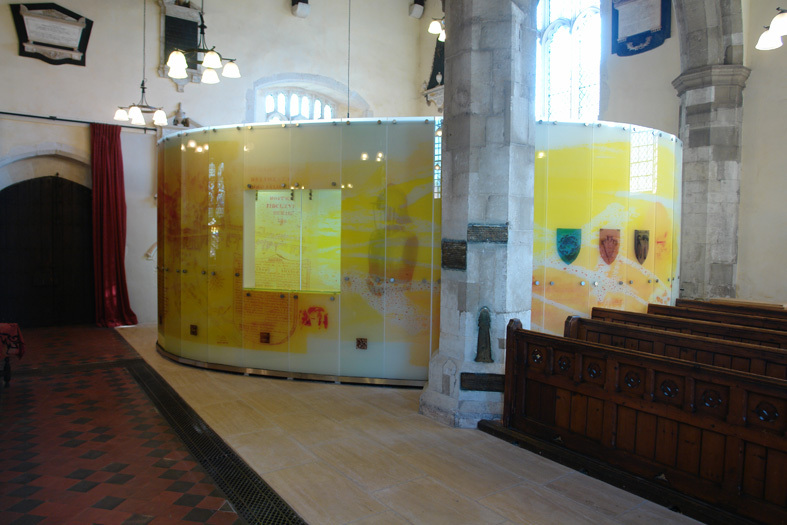 The wonderful new pod at St. Lawrence Church in Alton, Hampshire has recently won the top award from the John Ambrose Award for Architecture 2011. The pod was designed by architect Simon Goddard, of the Goddard Partnership and brings a new kitchen, toilets, meeting room and storage area to the Grade 1 listed building. 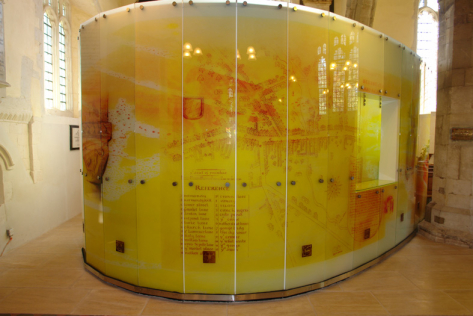 I had the great privilege of designing and making the 35 sq.m glass screen which wraps around the pod. 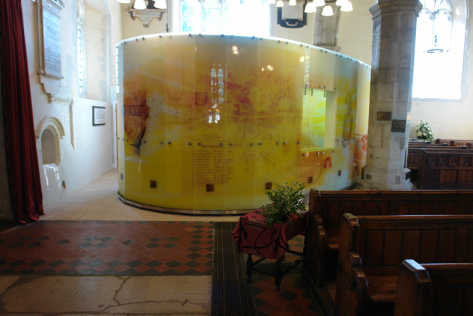 The screen illustrates the long history of the town of Alton, stretching back to the Roman and English Civil War periods, with other visual references to bygone local industries, the local school, and a map of the town dating from 1666.